One of the most popular site of exploit database that all the hackers community and security person use i.e "1337day.com" had got hacked and defaced today morning. 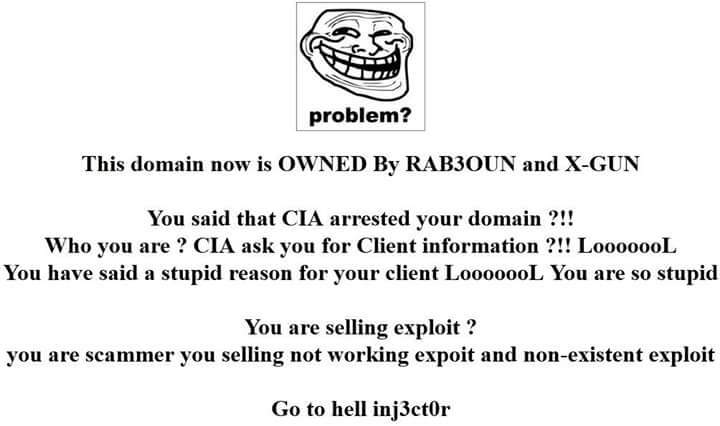 RAB3OUN and X-GUN have hacked the site. Till yet it is not confirmed that how hackers managed to deface the site, may be they hijacked the site DNS to show the deface message.